 Warton Crag nature reserve is part of the Arnside and Silverdale Area of Outstanding Natural Beauty and overlooks Morecambe Bay in Lancashire. The reserve has a rich variety of habitats including areas of limestone pavement and ledges, with mixed woodland, limestone grassland and scrub. Warton Crag is extremely important nationally because it is home to several rare butterfly species. These include northern brown argus, pearl bordered fritillary and high brown fritillary, which are UK Biodiversity Action Plan (BAP) species, and the small pearl bordered fritillary which is listed as a species of conservation concern. The habitats that these species favour are under constant threat of encroachment by scrub and dense bracken. To keep the areas open the Wildlife Trust and local volunteers cut scrub, manage the bracken, coppice the woodland and use cattle to graze them. 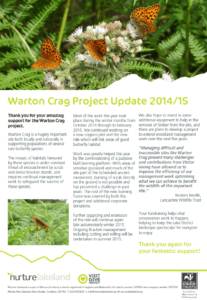 By working with local volunteers the project hopes to strengthen links with the local community, raise awareness and increase support to assist with management and monitoring work at Warton Crag in the future.